Falling Leaves plus… | The Happy Wonderer ~ ellen b. We gathered for our 2nd Annual Family Hunting trip. 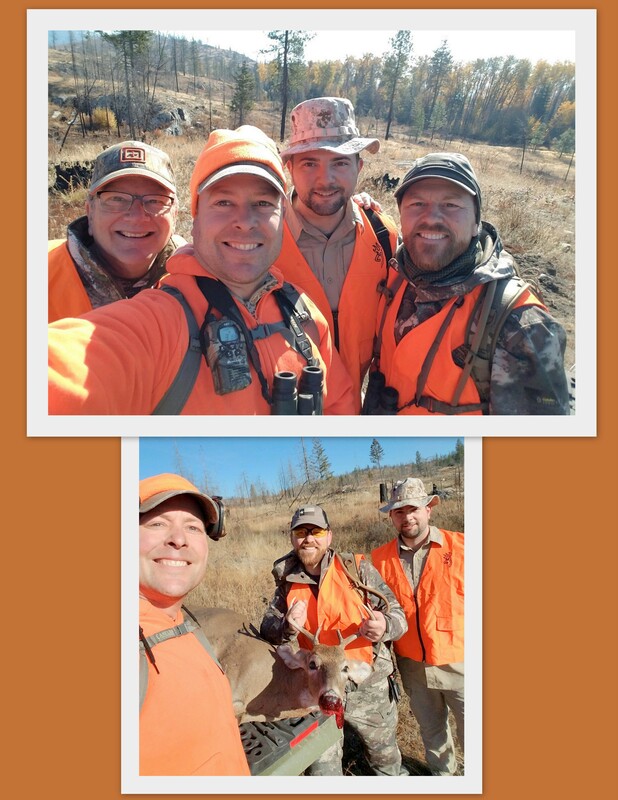 The guys spent a couple days hunting and then we filled in the days with Fallish things to enjoy. They are able to hunt a few miles from where we live. We now have a cold room which is a good place to hang the deer while they are prepped for the phase two job of butchering and packing the meat. This year Josh and Dan each got a buck their first day out. Josh opted to take his deer to a local meat processing company. Dan and Jamie packaged their deer on their own. Before the Western Washington kids headed home we all enjoyed a Thanksgiving meal together. The family shots from our Thanksgiving are coming soon. 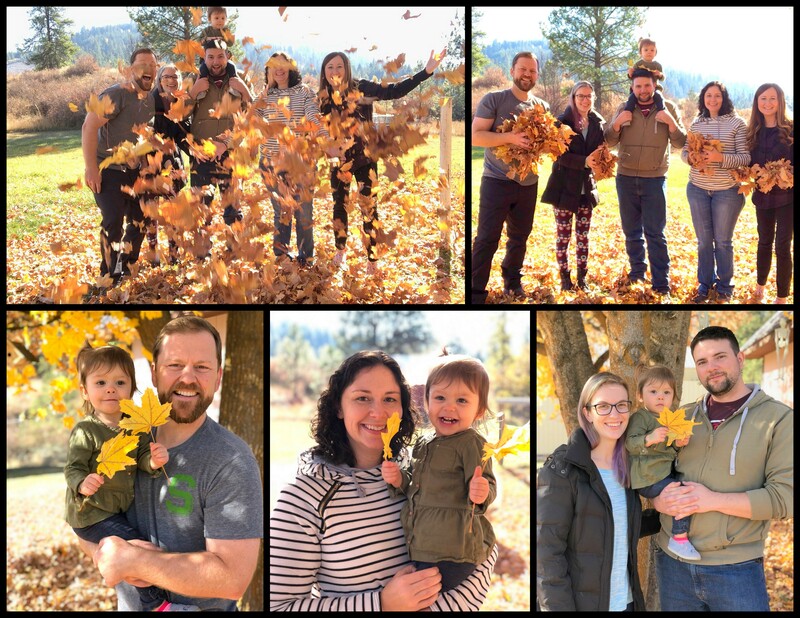 Posted on October 18, 2018 by Ellen •	This entry was posted in Addyson May, Fall, Grandchildren and tagged 2nd Annual Family Hunting Trip, Chewelah, Deer Hunting, Falling Leaves. Bookmark the permalink. It’s a guy thing. I was born and raised a vegetarian, .My kids and grandkids are hunters and fishers and raise animals for food. Who knew? …Cutie sure is loving the leaves! What a fun, family bonding tradition!! Love these pictures Ellen – such fun times! I love the autumn leaf photos! 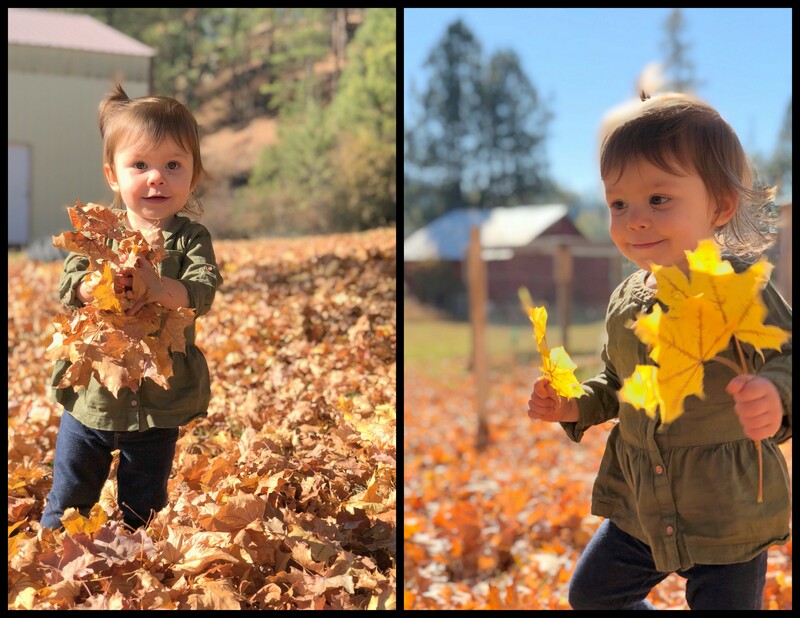 Your little granddaughter looks very happy in the leaves. Your early Thanksgiving table was beautiful. Ah fun times with family. We didn’t go hunting this year. We usually go to the daughter and son in laws ranch in Ritzville. Pure solitude as we hunt on the ranch with several thousand of acres to poke around in. What a happy little sweetie your G-daughter is. Oh, I can just smell those leaves from here! We don’t have enough deciduous trees here to make a proper pile, so this brought back great memories from our years in Ohio!